I'm at the point now where I am repurposing imagery to add to the hipster image. Somehow vintage musical instruments and old music technology makes the list. Here is my concept and planning work for my 2014 Skateboard(s). 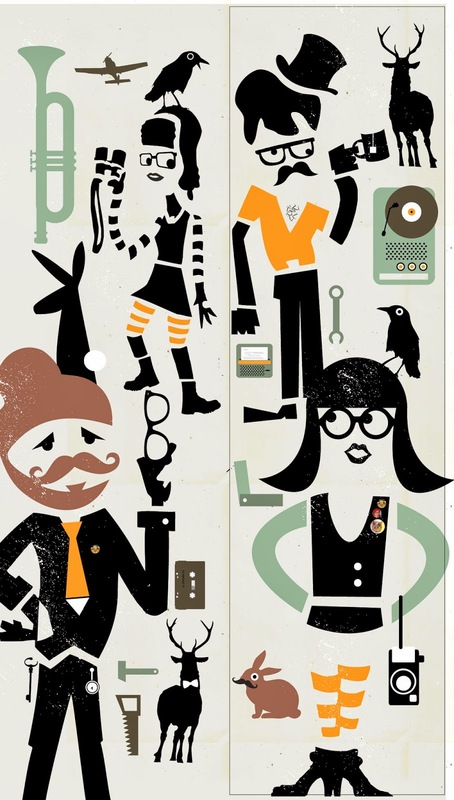 This year, I chose to create a hipster themed concept chock full of signs and symbols. 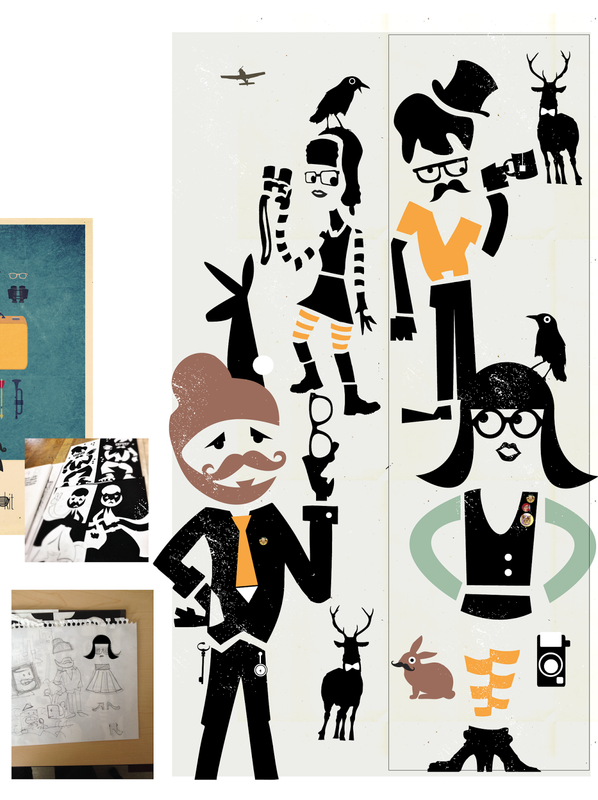 Inspired by the hipster culture and filled with props inspired by Wes Anderson movies, I have a multitude of visual symbols to work with. Jon Klassen and Who stole my hat also serve as inspiration of style and color.